Living on acreage in South King County allows for lots of outdoor activities year round, but one of our favorites is having friends over for a good fire. Think all-beef hot dogs, roasted veggies and s’mores! What could be better than sharing some good, old-fashioned summer fun with friends? 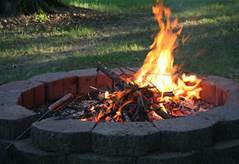 That’s why I love this article by HouseLogic where author Deirdre Sullivan shares ideas on how to build your own fire pit, pond and fence quickly and affordably. If you love entertaining outside as much as I do, check out these outdoor dining ideas from Houzz. Extend your porch or patio, dress them up or down, and enjoy dining al fresco whether you’re planning a casual get together or a celebration. Check them out and be sure to tell me if you try any of these projects. I’d love to see your pix. In the meantime, happy summer, everyone!